Nayantara In Dual Role For The First Time! - First Official Word! Lady Superstar Nayanthara who is on a roll with her female-centric ventures will be going an extra mile with her next intriguing movie Airaa. The venture is directed by Sarjun under the banner of KJR Studious. About the venture, producer Kotapadi J Rajesh of KJR Studios said, “Yes, it’s a proud moment to be associated with Nayanthara madam once again after the critically acclaimed Aramm. 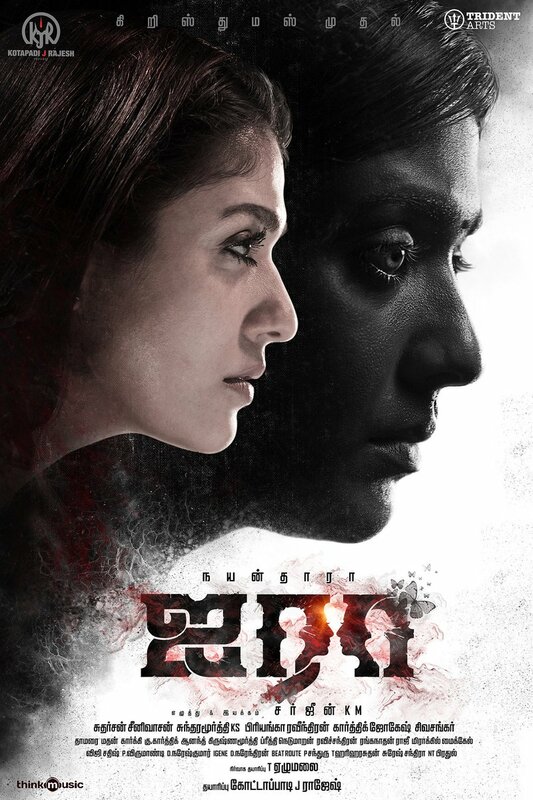 Moreover, our responsibilities as a production studio were much heavier as we had to retain our stature and at the same time, offer something that would be a game-changer for Nayan madam"
"When Sarjun came up with the narration of ‘AIRAA’, a horror’ genre. it completely gave an impeccable confidence. Furthermore, the surprisal element of Nayanthara appearing in dual roles enraptured our interests. As a producer, I had an instinctual belief that it is a film that will gratify the huge Nayanthara fans league and at the same time, felt Airaa will be the right platform to amplify her stature to next level. In addition, the preeminent works of Sarjun MK that involve his short films – Maa, Lakshmi and a peerless stroke with his directorial debut ‘Eccharikkai – Idhu Manidhargal Nadamadum Idam’ assured us of his commitment to deliver what he promises.” added Kotapadi J Rajesh. The star-cast involves prominent actors like Kalaiarasan, Yogi Babu, JP, and few others. The technical crew comprises of KS Sundaramurthy (Music), Sudarsan Srinivasan (Cinematography), Karthik Jogesh (Editor), Siva Sankar of Aval fame (Art), Priyanka Ravindran (Screenplay) and T Elumalai (Executive Producer). Apart from helming this project, Sarjun K.M. has written story and dialogues for Airaa. >>Watch the life of Bhavani from Nayanthara's Airaa! >>Watch the new promo teaser from Nayanthara's Airaa!